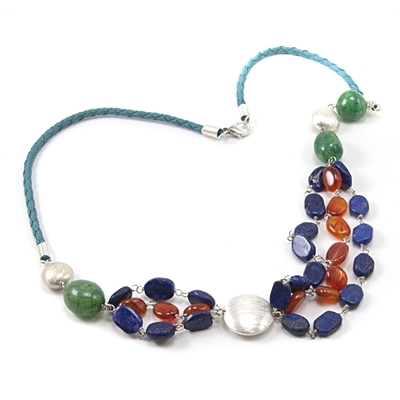 Handmade Multi-Colored Dyed Quartz with silver coated Brass beads and varied links. Lightweight casual wear. Leaf shape bead necklace and Earrings Blue glass and Silver beads necklace Charm necklace Turquoise and Lava stone necklace with Bracelet.